ProMag specializes in the fabrication of smaller diameter pressure vessels for a variety of applications including process tanks,filtration vessels and air receivers. ProMag operates a certified ASME shop and has engineering, design and fabrication capabilities to manufacture a wide variety of pressure vessels to customer specifications and needs. 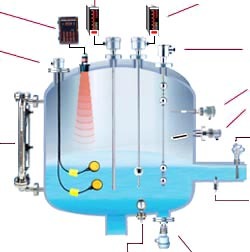 PROMAG LTD- Magnetic liquid level gauges & magnetic liquid level switches-electrical, pneumatic, & float type level switches-transmitters-fiber optic level switches- ultrasonic level switches-conductivity level switches-multiple level switches-continuous liquid level indicators-pumps-separators-filters-"smart vessels"
ProMag is a ASME CODE welding facility and is capable of doing your most demanding shop welding projects. Call Medlin Controls Co. for more details. ANALYZER LIQUID K.O. and LIQUID RECOVERY SYSTEMS. (Pneumatic) LIQUID PUMPING SYSTEMS for: steam condensate recovery-liquid transfer-liquid collection- hazardous liquid & gas recovery- ground sump pumps-oil/water separators-naphtha/water separators-fugitive emissions collection systems for valve stem packing failures-replacement of electric pumps-process fluid sampling. Pneumatic Counters for AutoPumps & Blow Cases: Counts the number of time the AutoPumps fills and empties. ROSEMOUNT Guided Wave Radar assemblies supplied with CUSTOM CHAMBERS from PROMAG LTD.
AMERICAN MADE: 41 years of service, 1968-2009. Our stems will withstand high torque in rough applications without shearing. Superior packing design protects packing from extrusion and flow media, adding to longer sealing life. 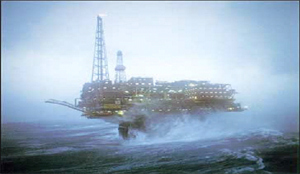 ASHCROFT presure & temperature instrumentation. Solenoid Valves: ASCO offers the world's largest selection of General and Special Service 2, 3, and 4 way valves to handle virtually any application. We can help you quickly find the valve as well as other fluid control products for your application. 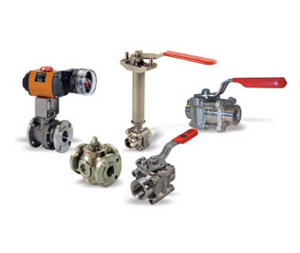 BALL VALVES: WORCESTER BALL VALVES, McCANNA, JAMESBURY, JARECKI, SVF, XOMOX, GEMINI, AND NIBCO. All industrial applications. On piece, two and three piece, flanged and multiple flow patterns. All materials for a wide range of chemical and temperature applications. DWYER-Low pressure instruments mercoid and Anderson controls & gages: Dwyer Magnehelic differential pressure gages- Photohelic pressure switch/gages-differential pressure switches-flowmeters-manometers-air filter gages-pressure, temperature and liquid level controls-flow & level switches-sight flow indicators. FLOW METER REPAIR AND SALES: variable area flowmeters, positive displacement flowmeters, turbine flowmeters, magnetic and mass flowmeters. 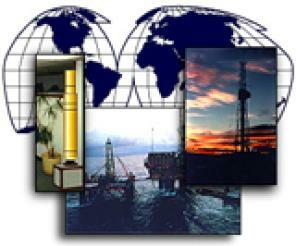 Liquid and gas calibrators, flow controllers, pressure regulators, valves and accessories. Gas monitoring systems: personal monitoring GasAlert Clip (Toxyclips)- wireless gas monitoring- stand alone gas monitoring systems-intrinsically safe remote output monitoring systems- all types of monitors for ammonia, carbon monoxide, chlorine, hydrogen, hydrogen cyanide, hydrogen sulfide, nitric oxide, nitrogen dioxide, sulfur dioxide, oxygen, lel combustible. With nearly forty years of experience in level measurement, Drexelbrook is uniquely qualified to help with your application. If non-contact radar is the right answer, we can offer you the industry's first 2-wire FMCW technology. Then again, perhaps one of our guided micropulse (TDR) systems is a better choice. Or, the best answer could be an ultrasonic or RF measurement solution. Whatever the case, our complete product line lets us match the best technology to your application. Put the Drexelbrook advantage to work for you. Valv-Trol manufactures high pressure and low pressure valves, including 2-way valves, 3-way valves, check valves, and relief valves, for use in water hydraulic systems and other applications.